Justice Qazi Faez Isa is an exception in many ways. He was inducted into the superior judiciary at a time when it was riding high on popular approval, yet he has been a stickler for reserve and restraint. He refrains from making headline-grabbing observations and his judgments read as if every word in them has been measured twice. It was Justice Iftikhar Muhammad Chaudhry who recommended Justice Isa’s appointment – without any previous judicial experience – as the chief justice of the Balochistan High Court in 2009. The appointment was seen, and challenged, as a manifestation of the judicial overreach that has become synonymous with Justice Chaudhry. The Supreme Court later dismissed the challenge as frivolous. That was not the only instance of Justice Isa being in the headlines. He came down hard on news media when, as the high court chief justice, he banned journalists from covering proscribed organisations. He ruled they could be tried under anti-terrorism laws if they violated the ban. Since then, 11 journalists have been booked under these laws in Balochistan. As a Supreme Court judge, Justice Isa conducted an inquiry into an August 2016 terrorist attack on lawyers in Quetta that had claimed more than 70 lives. The inquiry report was highly critical of the interior ministry and the paramilitary Frontier Corps. The then interior minister Chaudhry Nisar Ali Khan called the report ‘one-sided’ and asked the Supreme Court to omit his name from it. The court did not agree. More recently, Justice Isa made his dissent known after previous chief justice Mian Saqib Nisar controversially dissolved a Supreme Court bench last year. The bench included both of them. Justice Isa’s dissent was later endorsed by Justice Mansoor Ali Shah, the third judge in the same bench. The case involving a violent sit-in by religious activists on a highway leading to Islamabad in November 2017 has been in the limelight similarly. 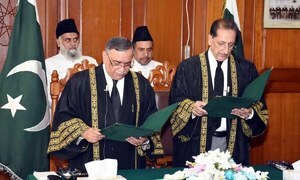 The judgment in the case – written by Justice Isa along with his fellow judge, Justice Mushir Alam, and released on February 6, 2019 – shows the judges faithfully following the letter of the law in order to critique the way security and intelligence agencies had handled, or mishandled, the sit-in. They proved that the judiciary could criticise, even reprimand, other institutions of the state without having to stretch the laws beyond desirable limits — as some other judges have done in recent times. Here is a catch though. In the instances given above, Justice Isa’s rulings seem to have discounted some important objective conditions. 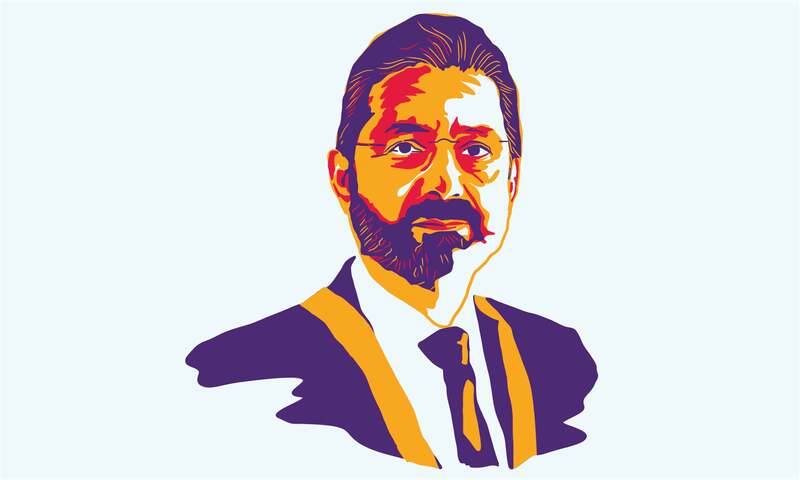 Pre-empting a suicide bombing is recognised as one of the most difficult law and order tasks all over the world yet his report on the Quetta attack does not dwell much on this aspect. His restrictions on news coverage of banned organisations did not take into account protests by journalists who said they could follow his ruling only at the risk of losing their own lives. Similarly in the sit-in case, he seems to have declared almost all types of protests as illegal. “The right of assembly … cannot be used to overthrow a lawful government. Nor can the right of assembly be used to bring about a revolution or insurrection,” the judgment states. These sentences prima facie suggest that any mass mobilisation to change the status quo is now illegal. At the very least, these seem to delegitimise any protests, either by opposition parties or by the public at large, that seek the removal of an unpopular government. How should people seek change, if not through a protest, after a democratic government has implemented undemocratic and anti-people policies? Will protesters demanding an early election be committing an illegal act? Justice Isa has been a newspaper columnist too. Undoubtedly, he understands that keeping mitigating circumstances and other such caveats in mind is important to the working of both news media and the judiciary. His own upbringing at the politically active household of his father, Qazi Mohammad Isa – an eminent lawyer and a stalwart of the independence movement – must also have helped him realise that even the most textually perfect judicial verdicts sometimes ill-suit our highly imperfect state and society. Implementing the letter of the law is one half of the judicial edifice; its second half consists of maintaining the spirit of the law. And that spirit, in any democratic state, cannot but be pro-people. This article was originally published in the Herald's March 2019 issue. To read more subscribe to the Herald in print. We should not confuse dissent with disloyalty. Justice Kazi Faez Isa is one of the best; if not THE Best judges we have. I look forward to the day he becomes our Chief Justice. @Bhurekhan I could not agree more. No one can question his honesty, integrity, intelligence, judgement and most of all his intense love for Pakistan and what the Quaid-e-Azam stood for.